Like any natural avant-gardist, Williams ran with that intellectual information. The innovations of Billy Higgins and Ed Blackwell with Ornette Coleman were less European-based, so for a few years Williams was just about the only drummer playing swinging time without a form while surrounded by complex harmony. Williams honored his teacher by recommending him to Miles Davis. The Japan gigs are interesting to listen to, but the place to hear the Rivers-Williams hook-up is not with Miles. A collection of meta hard-bop, Fuchsia Swing Song, has more of the real vibe, although according to Rivers himself those were older tunes. When I was in high school (late 60s) I started trying to figure out was “jazz” was. Back then, in Denver, at Woolworth’s and Wallgreen’s you could get Riverside and Blue Note albums (“cut outs”) for 79 cents. The first one I ever got was Wes Montgomery’s first trio record. I think one of the next records I bought was Sam Rivers Fuchsia Swing Song. I had no idea who he was at the time. The cover looked cool and I think by then I may have heard of Ron Carter and Tony Williams. Jaki Byard. What a band. All those amazing tunes. A few years ago you couldn’t even get this album on CD in the US. I had to get it in Japan. I love this album. I was just listening to it minutes before I received your message. Extraordinary music. Soon after I got this one I went out and got A New Conception where he plays all standards. “I’ll Never Smile Again”…there’s that moment where the form get’s suspended and he switches from tenor to soprano and then they all come back in. Man alive. I listened to these 2 albums a LOT! And then on to the stuff with Dave Holland and Barry Altschul. Oh man. I don’t know what to say. We are so lucky he was here. I had a similar profound experience with Tony Williams’s Spring, which along with the predecessor Life Time documents the most avant-garde Rivers-Williams collaboration. Full credit to fiery virtuoso Gary Peacock as well. Everyone thinks like they can play like this today, but honestly the originators, Rivers-Peacock-Williams, still set the bar. It’s deeply swinging—not just a learned swing, but a folkloric swing—but can unselfconsciously go in any direction with an unplanned atonal map. Spring was superbly recorded by Rudy Van Gelder on August 12, 1965. I had it very young, on vinyl, but hadn’t listened to my CD copy in years. Hearing it again now reminds me of why I play jazz in the first place. It’s perfect music. On “Extras,” Wayne Shorter and Sam Rivers improvise a bit of counterpoint before Shorter burns through a motivic swinging eighth-note abstraction. After Peacock’s intelligent solo, Rivers enters with a sing-song cry and the music quickly moves through a few different feels. These unplanned and intuitive moves are totally natural. The two tenor “solos” (they are actually two different trios) are very different but equally successful. “Love Song” is the only tune the album with a chordal structure for improvising, where Rivers, Peacock, Williams and Herbie Hancock try their hand at some 5/4. I believe this is the first jazz five that doesn’t obviously state the meter in every bar like “Take Five.” Incredibly, they aren’t worried about getting lost, but just somehow wander comfortably through the five and a few bars of three. The form isn’t always correct, and therein lies the magic of all this era’s music with Williams and Hancock: they just don’t care if they get lost for a minute. It’s a way of playing that happened for a few years in the Sixties before being banished from the straight-ahead vernacular. It’s too bad it’s gone, but I doubt we would have had it at all without Sam Rivers showing Tony Williams a thing or two. I’ve also re-listened carefully to the two later Rivers-led albums I loved in high school: The Quest, a rawly-recorded, totally free date with Dave Holland and Barry Altschul; and Contrasts, a high-end Manfred Eicher production with a few forms featuring George Lewis, Holland, and Thurman Barker. The first comment is: Holland and Rivers is a classic combination. The bassist really needs a wild-card saxophonist like Braxton, Rivers, or Steve Coleman to bring out what I really love in his playing. Next: I want to hear gigs in 2012 with Altschul, Barker, and Lewis—the last where he just plays great trombone, not enmeshed in electronics or large-scale scores. For that matter, I’m ready to hear Holland on a free-form hit again, he hasn’t done enough of them lately. Finally: for me, these records take off when Rivers plays tenor saxophone, not soprano, flute, or piano. Live, I’m sure all the instrument-switching was fun, but to make truly excellent records, Rivers needed to play the big horn, on which he will always be in the canon as one of the greats. On a bootleg from 2000, his last working trio with Doug Matthews and Anthony Cole performs his most familiar work, “Beatrice.” Rivers shows that he still play changes like a demented angel. Aw, man! Couldn’t you have made one recent record of tenor trio playing obvious tunes? It would have been instantly immortal. I don’t know the rest of Rivers’s extensive output all that well. In particular, I haven’t explored his big band writing enough. Like some AACM music, it seems very “process” oriented rather than committed to delivering a finished “product.” That’s a mode of behavior I have yet to really understand when more than four people are onstage, but then again I’ve never had the privilege of being involved in any of those scenes as a participant. I certainly leave room for Rivers’s large ensemble music suddenly ringing all my bells someday. For now, I’m really enjoying re-listening to the above records along with Black Stars, which has one of the great recent tenor solos on the first track, “Foot Under Foot.” I’m so glad that Jason Moran, Tarus Mateen and Nasheet Waits got Rivers for this significant disc. Jason and Nasheet keep having the right idea: alongside Lonnie Plaxico they worked with Bunky Green for the stunning Another Place and now Tarbaby has Nasheet with Oliver Lake (and Orrin Evans and Eric Revis). Losing Sam Rivers is yet another wake up call to pay attention to who we have left. 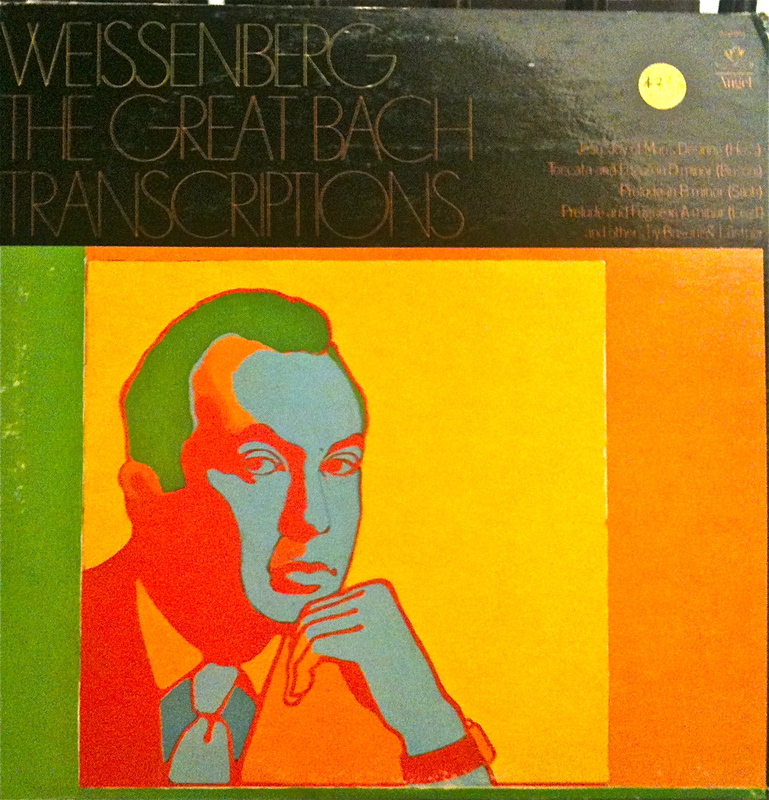 When I was first exploring the repertoire I acquired many terrific Alexis Weissenberg LPs, including one that remains a personal desert island disc, The Great Bach Transcriptions. This recording is surprisingly rare now (my copy cost $2 in the early ‘90s) but some of it is on YouTube, including “Nun freut euch, lieben Christen g’mein.” When obsessing over this Bach-Busoni chorale prelude, at one point I decided that the Weissenberg was the best version I could find. It still sounds really good to me today. Also on YouTube are two versions of the “Russian Dance” from Stravinsky’s “Three Movements from Petrushka.” The more familiar final product by director Åke Falck is mimed to a recording (a specially built “silent” piano was made) but there is also a rehearsal with live music. There are a few finger slips in the live version but maybe it is even more exciting. Jeremy Nicholas has more on this famous film. After intermission, the pianist offered the seldom-played thirty-five minute Rachmaninoff First Sonata. Blocks of sound roared from his piano; it was pandemonium. He played as loud as anyone in the history of the piano. The contemplation of sonority is a complex issue. But those chords were not merely banged, or percussive either. Most important, this fairly problematic composition was compelling in Weissenberg’s hands because of his belief in his own playing. I’ve never really liked his record of Rachmaninoff Sonatas; today, the First was almost excruciating, especially in the slow movement, where it sounds like the pianist is clenching his teeth and barking. Hamelin recorded these bon-bons on his album In a State of Jazz, which gets its name from Weissenberg’s most significant solo piano work, Sonate en état de jazz. This is not jazz, of course, but does have a fascinating harmonic language. I’m especially intrigued by the first movement, a fractured tango. On the studio record, Hamelin plays it as well as it can be played, but a live performance on YouTube is just as good and even includes the score. I’ve just learned that J. Hoberman has been let go from the Village Voice. Back in the 1990’s, the Voice was my Bible. I got it and read it every week without fail. It’s fair to say that whatever progression I made from small town hick to big city culture maven was overseen by that weekly rag. At that time, Gary Giddins was the jazz critic, Robert Christgau was the rock critic, Kyle Gann was the classical critic, and J. Hoberman was the film critic. Naturally, there were other excellent writers at the paper, but those were the ones I paid the most attention to. Of the four, the one I most eagerly took at face value was Hoberman. (Probably because film will never be my field.) Now they are all gone, and I’m not really sure if a fresh-faced newcomer to NYC has many reasons to look at the Voice anymore. I probably stole a lot of the way I write about music from the way Hoberman wrote about film. I happily watched all sorts of things from Groundhog Day to Bob Le Flambeur to Bulworth to Sonatine based on his recommendation. I was so down with Hoberman’s perspective that I even went to a book signing for the wonderful The Dream Life: Movies, Media, And The Mythology Of The Sixties and shook his hand. At the old blog address, I celebrated Hoberman’s April 2007 cover story on Elliot Gould and his performance in Robert Altman’s The Long Goodbye, writing something along the lines of, “The Village Voice shows it can still be great.” Rereading that essay online now, I am still just as impressed by Hoberman’s moves. Before that article, I couldn’t have picked “one favorite film” without hemming and hawing. Since then, riding the secure power of J. Hoberman’s critique, I always say, The Long Goodbye. A decade of Top 10 lists is here. When I heard that Larance Marable had passed, I called Charlie Haden and asked him to say a few words. I first met Larance Marable in the late fifties when I was playing with Paul Bley at the Hillcrest Club in L.A. and Larance was playing gigs around town. We soon started playing together with Art Pepper, Hampton Hawes, Sonny Clark, Paul Bley, and would often drive up to San Francisco to play with different musicians including Chet Baker. I still remember the stories he told on that drive, about Bird and other great musicians. In fact, on our Quartet West album Now Is the Hour there’s a picture of him at a birthday party for Bird in Watts, sharing ice cream and cake. He was a beautiful person that loved to laugh. My daughter Tanya once played him several games of ping pong when we were in Paris. When she missed a point, she’d say, “I’m going to get you, Wabbit” like she was talking to Bugs Bunny, and Larance would crack up. This guy had something that was magical. I experienced it from the first time we started to play. The thrust of his cymbal was so strong. Strength is not the right word. Maybe power is right. It would happen anytime, anywhere. You could always rely on him. He had a lot of dynamics in his playing. You can’t explain it, but he had it. He functioned in my Quartet West like Jimmy Cobb functioned for Miles Davis, especially on Kind of Blue. First Larance subbed with Quartet when Higgins couldn’t make it, but then, when Billy started touring with the Round Midnight band a lot, Larance joined my band full time. His cymbal beat was perfect: It was earthshaking when he came in with the time. In Quartet West he was the other part of my heartbeat. After this long run of great West Coast jazz, Marable’s discography thins out. Joe Farrell’s Skateboard Park from 1979 seems to be the next date. There’s also Milt Jackson’s Night Mist from 1980. Marable became more visible again when he joined Charlie Haden’s Quartet West. The studio albums are all classics: In Angel City (1988), Haunted Heart(1991), Always Say Goodbye (1993), Now Is the Hour (1995), and The Art of Song(1999). In addition to the essential work with Haden, Marable is heard on post-1988 records with Charlie Shoemake/Harold Land, The Herbie Harper/Bill Perkins Quintet, Paul Moer, Frank Strazzeri, Shorty Rogers/Bud Shank & The Lighthouse All Stars, Walter Norris, Bruce Eskovitz, Dianne Schurr, Robert Stewart, Eden Atwood, and Ruth Cameron. Speaking of which, thanks to Ruth for her help with this post! Marvin Hamlisch himself is at the keyboard for the last two strains of Scott Joplin’s “Solace” as heard on the soundtrack to the hit movie The Sting. The first two strains of Joplin’s “Solace,” are good, too, but after The Sting — and the magnificent rubato interpretation by the pianist on the soundtrack — they were rendered almost irrelevant. Hamlisch’s contribution to this soundtrack remains a topic of debate, with some regarding it as a collaborative effort: names also in consideration are Gunther Schuller and Joshua Rifkin, not to mention director George Roy Hill, who apparently wanted Joplin music. Hamlisch wrote a lot of original music, too, of course. Some of it was wonderfully memorable, some of it was horrible dreck. But surely I’m not the only jazz pianist that owes something to the 70’s ragtime revivial, especially The Sting. Last week Von Freeman and Knobby Totah passed away. There’s a good obit of Freeman by Patrick Jarrenwattananon at A Blog Supreme. 1981 his new tenor sparring partner is son Chico. Hard to remember that the Columbia album Father and Sons was half Marsalis family, half Freeman family! Rhythm section for Freemans is Barron, McBee, DeJohnette. Also that year made a record with Clifford Jordan; there’s YouTube of them playing rhythm changes in 1988 that is really nice. Later in the 90’s and into the next century a lot of Freeman quartet records were made, in Minneapolis and New York as well as Chicago. He guested with Kurt Elling and continued to appear on his brother George’s projects, a funky guitarist best-known playing with top-shelf organists. Like many significant musicians on the old-school NYC scene, Totah is getting a memorial service at Saint Peter’s on Monday. I suspect there will be some all-stars playing that night; certainly Lee Konitz will be there. Jill McManus’s elegy makes for fascinating reading. And lots of late 50’s jazz with Zoot Sims, Bobby Jaspar (some of Elvin’s earliest records), Slide Hampton, George Wallington and others. There one Lee Konitz nonet from 1977 (Kenny Washington’s first record, I think) and he made a couple records as a leader with Mike Longo and Ray Mosca in the 80’s. The only Totah I really know is a pretty killing live session with Zoot and Al alongside Phil Woods, Mose Allison and Paul Motian from 1959. A blues is on YouTube; they don’t make jazz like this anymore. Some of it comes down to this: Both Von Freeman and Knobby Totah played with Bird. When the last musician who played with Bird is gone, the music will be different. NY Times obit by Nate Chinen. NY Times obit by Allan Kozinn. It is impossible to become jaded about the breadth and depth of American music. Within a few days of each other we recently lost as unlikely a pair as can be imagined, Ted Curson and Elliott Carter. Curson will always be associated with one of the peaks of jazz, the Charles Mingus group with Eric Dolphy and Dannie Richmond in 1960. Live at Antibes is a sensational document with Booker Ervin and a guest appearance by Bud Powell. The studio session Charles Mingus Presents Charles Mingus is even better, a stone classic that should automatically be in the collection of anyone with an interest in American music. Still, it is only a quartet, so Curson has a lot of responsibility. When I heard about his passing, I set out to transcribe Curson’s splendid blues choruses on “Folk Forms, No. 1” but Dave Fink (AKA Jazz Capacitor) beat me to it. He even took down Mingus and Dolphy, too. Check it out. One of the things Curson has is time: jazz time, that most elusive of magical musical properties. Curson is holding the rest of the band together in places. Dolphy’s time is powerful too, and this track shows how strong horns can lay it down for a comparatively undisciplined rhythm section. Curson doesn’t need to be verbose lick-spinner next to the rhapsodic Dolphy, he just needs to play good blues trumpet. Dolphy clearly respects Curson, and lays in a nice simple blues backing for Curson when needed. They are a great combination. Again, the powerful groove of this track emanates from the horns, especially since the rhythm section (which already has a wild and woolly beat during the most conventional of moments) stops and starts, doubles up, triples up, backs off, trades, and generally creates as much mayhem as possible. Although the Schuller-produced Mingus tracks are some of that genre’s best, Mingus never really bought atonality, either. More importantly, Mingus only flirted with the European model of writing out hard charts that were disconnected to the blues. He mostly sang his parts to the band and only hired musicians that could also play in a black R ‘n B juke joint. (Even if some of those musicians were white, they could have made that juke joint gig.) His longest big-band experiments were communal, player-specific events that have little in common with anything by Schuller or another classical composer. The title of “Folk Forms, No. 1” is loaded. Remember folk music! Fine, we need to grow, so Dannie and I will break it up in ways that’ll spin your head and I’ll give ya that dumbass pretentious “abstract” numbering in the title, but: Remember folk music. Across the galaxy, another cherished LP is from just about the same vintage as “Folk Forms, No. 1”: Beveridge Webster’s Modern American Piano Music. Webster was never a big name but he was serious virtuoso who did more than most of his contemporaries for new music. This stunning recital has the first recording of the Carter Piano Sonata. If you’ve never heard Carter, this early piece is a good place to start. (YouTube.) It takes the “Americana” harmony pioneered by Copland (represented on the Webster disc by his best piano piece, the Piano Variations) and puts it through a kaleidoscope of rhythmic discontinuity and instrumental virtuosity. Probably the main interpretive problem in Carter is deciding what to do with his insanely complicated rhythm. Every few years I look at Night Fantasies again, and just recently compared recordings Pierre-Laurent Aimard, Ursula Oppens, and Charles Rosen. The big polyrhythm in Night Fantasies is a real show-stopper, 216:175! As far as I can tell, Aimard and Oppens nail the rhythms like the metronome is beating right next to them. Rosen doesn’t. … Look at that, I just did something which I find intellectually lazy, comparing mature Carter to Schumann. Even worse were the obits that said Carter was “humorous” like Haydn. But Haydn, Schumann, and Carter are not in the same tradition! Haydn and Schumann are open to the public, Carter is a hermetically-sealed world. Of course, as long as they’ve been around, a composer’s job has been to transmute folk music into more internal realms. But Schumann and especially Haydn were completely obvious about their folk influences. Carter is as close to the denial of folk music as you can find. A few years ago, the ever-honest Kyle Gann posted in detail about Carter. …All through college and grad school I avidly followed every new Carter premiere, bought his scores and recordings, listened dozens of times, analyzed what I could. Then, one day in the early 1980s, I was listening to the Double Concerto with the score again for what was at least my 50th time. And the thought popped into my head: “I’ve studied this piece and studied it for over ten years, and I don’t give a damn if I ever hear it again.” I closed the score, and never listened to the piece closely again until I wrote my American music book in 1995. In a way, what drove me away from the music was its unmemorability. 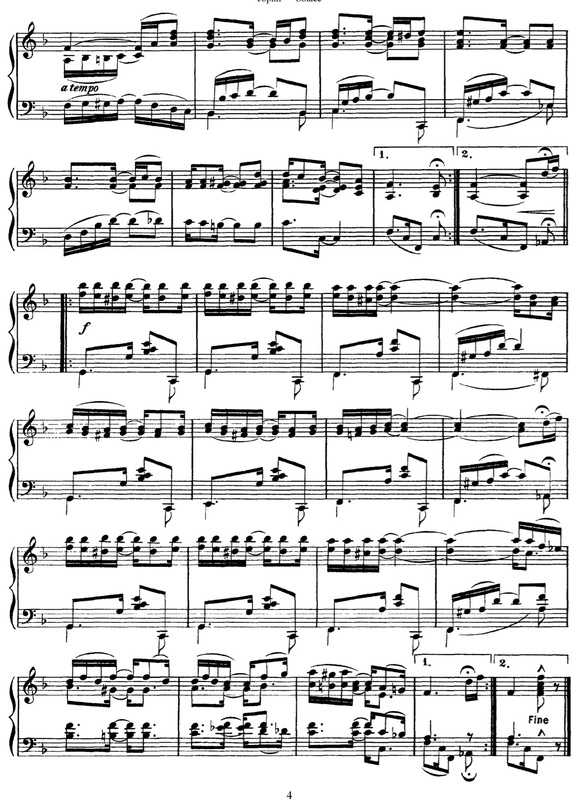 There’s a tremendous pleasure in becoming familiar with something as mammoth, dense, and complex as the “Concord” Sonata, and learning to love every skewed little harmonic implication. But while I had the general overall plan of the Double Concerto in my head, and could anticipate the climaxes and piano and harpsichord cadenzas, the vast majority of the pitch complexes just never imprinted themselves on my memory… Though by then fond of Ives, Stravinsky, Cage, Stockhausen, and even Babbitt’s wonderful Philomel, I had failed to develop the slightest affection for the Carter Double Concerto after dozens, maybe hundreds of listenings. And it wasn’t just listening. In the ’70s every young composer analyzed Carter’s Second String Quartet, and I was no exception. I started with loads of enthusiasm, but increasingly found the ideas unmusical: especially that the tritones were all in the viola, the perfect fifths all in the second violin (or whatever – I disremember the details), which isn’t something one can hear in a polyphonic texture. It’s a stupid idea, really. And as fanatical as I am about tempo contrasts, Carter’s seemed mechanical and musically unmotivated. I came to think that Carter had invested a lot of time in overly literal aspects of music that didn’t appeal to the ear. As I’m always reminding my students, art isn’t about reality, it’s about appearances. And yet, I never turned against all of Carter’s music. I’ve always been fond of his Quartet for Flute, Oboe, Cello, and Harpsichord (which I plan to analyze for class in my next Advanced Analysis Seminar at Bard), and also like his First String Quartet, Piano Sonata, and Cello Sonata. These transitional works he wrote between 1948 and 1952 seem poised exquisitely between his neoclassic period and complex atonalism, and for a few years there I thought he perfectly cross-hatched the near-tonality of his Boulanger years with the intervallic precision of serialist technique. But then he visited Darmstadt and started one-upping the Europeans, apparently, and from the orchestral Variations of 1955 on I find his music lacking in personality. So it’s true I don’t like most of Carter’s music because it isn’t memorable, but simplicity is not the only key to memorability. The F,O,C,&H Quartet is not necessarily simpler than the Carter Piano Concerto, but its pitch choices seem much more meaningful, not nearly so bland and randomly scattered. I can’t completely agree with Gann here, I will keep being inspired by mature Carter. But there’s no point in pretending that Carter isn’t essentially unlistenable to most. He’s the apotheosis of intellect over communication. Please don’t compare him to Haydn, compare him to the thorniest James Joyce. And even Joyce will have more popular understanding than Carter ever will: almost everyone can read, but hardly anyone can analyze a musical score. That’s not to say that some of Carter’s work doesn’t have an obvious impact. Like Gann, Harrison Birtwistle name-checks the Double Concerto for Piano and Harpsichord with Two Chamber Orchestras, although, unlike Gann, he loves it. I’m with Birtwistle, this a work which anyone can tell instantly is a restless and surreal journey. “That bloody harpsichord!” Birtwistle says. (YouTube has a recording with Jacobs and Rosen that was in every serious Seventies-era classical record collection.) Stravinsky loved this piece, too. But the bulk of mature Carter is for fellow scientists. Birtwistle himself is a good example of how you can write recondite music with easily perceivable rage, theatre and event. Carter is an arctic wind compared to Birtwistle. Hell, for me, even Babbitt and Boulez are warmer than Carter. And I think there’s much food for thought in Robert Strizich’s not entirely complimentary essay about the Double Concerto. There is little doubt that Elliott Carter’s inventiveness, integrity and discipline are impressive, and that his musical concepts are strong, provocative, and rich in possibilities. His compositional realization of these concepts is highly elaborate, and his notation is exacting, meticulous and even painstaking. Yet it is precisely the great intricacy of the realization that paradoxically tends to obscure the clear projection of much of the work’s musical thought. The implosive force of the notational and compositional detail not only weighs the piece down, but also strains the abilities of both player and listener alike. Thus, while the Double Concerto opens new vistas and explores exciting musical territory, it at the same time raises serious questions regarding the realization, notation, projection and comprehension of highly complex musical ideas. Carter said he “went wrong” back in the 1940s and spent the next 60 years pursuing the musical dead-end of atonality. Carter said he blamed his late wife, Helen, for turning him into an unrepentant modernist. “She liked this stuff, and I could never say no to her,” he said. “Time” is really the issue, I believe. For all his intellectual “games” with rhythm, nothing Carter ever wrote really “has game.” The older jazz cat’sschadenfreude surely stems from the knowledge that many of the greatest American musicians, frequently coming from the literal ghetto, have traditionally been consigned to the figurative ghetto by the intellectual elite — even though swing is a much more profound rhythmic discipline than 21:25 or 216:175. Ted Curson mastered the jazz beat, you can hear it on “Folk Forms, No. 1.” Nobody who has ever played Carter professionally could jump in there with Mingus — either improvising or reading that transcription — and sound anything but anemic. Enough of this comparison! Even though I think Charles Mingus Presents Charles Mingus will last as long as anything Carter ever wrote, I’m not going to argue that Curson was as important as Carter. Carter, who died at 103, wrote vital music for the longest span of any composer in history. He seemed to get even better after he was 80 or so; at some point I need to catch up on the last two decades of Carter more intensively. One of my great live experiences was seeing Pierre-Laurent Aimard give the premiere of the unusually (for Carter) toccata-like “Caténaires” in New York with the composer in the audience. After a sensational performance, Aimard came out and chatted with Carter, then went back up to the piano and played it again! He could have played it a dozen times in a row as far as I was concerned, there was so much to listen to in that short piece. Curson was a great player who — for whatever reason — frankly didn’t manage to sustain a truly interesting or relevant career after the 1960’s. The one time I saw him live it wasn’t a good experience. But perhaps if Curson had been supported by the establishment with .00001 of the juice they’ve always given Carter, that story would have turned out differently. On a more positive note, let me say again: It is impossible to become jaded about the breadth and depth of American music. The great jazz drummer Pete La Roca died Monday at 74. I saw him play only once, this past spring with George Braith at Fat Cat. He sounded great! The right touch, the right tone, the right feel, the utterly folkloric left hand. As these purveyors of jazz authenticity leave the planet, the music loses connection to why it was created in the first place. Tom Lord lists about 50 studio sessions by La Roca during his active decade, 1957-1967. So many classic dates with Sonny Clark, Jackie McLean, Freddie Hubbard, Booker Little, Art Farmer, Joe Henderson, George Russell, his ownBasra, many others. There’s even a group of significant piano trios where La Roca’s muscular swing encouraged that genre to be more dialogue-based: Jaki Byard, Don Freidman, Steve Kuhn, and especially Paul Bley. While I was still at Berklee, I was working upstairs at the Jazz Workshop at the bar, accompanying singers, which I liked. We had a break, and I went downstairs and didn’t hear any music, and I thought what’s going on? Herb knew me from Berklee big band class, and John said, so you want to play? I said, “Yeah!” John said, “Ray’s late – we want to get started. Pete La Roca’s on drums.” I said, “OK!” meaning, hey, OK, of all the drummers I had heard up until then, Pete was one of the guys I considered as one of the best examples of how you could play without sounding like anybody else. And his time concept was unusual and I realized this is not amateur night anymore! That was a wonderful few tunes. After La Roca’s “comeback” record Swingtime, he was interviewed by José Francisco “Pachi” Tapiz for Tomajazz. It’s a fascinating and somewhat contentious read, full of valuable insights. It’s not the whole story, though: among other omissions, La Roca doesn’t mention his most famous controversy. His album Turkish Women at the Bath, with all-La Roca tunes and a rare chance to hear John Gilmore in a quartet, was reissued as Bliss under Chick Corea’s name. La Roca was understandably upset and sued. It was his last recording for thirty years. A few years ago, Destination OUT! hosted my take on Paul Bley’s Footloose. The links still work, including (within the text) La Roca’s solo on “Minor Apprehension” from Jackie McLean’s New Soil, which many consider to be one of the first pieces of free jazz. Destination: OUT! tweeted the transcript of an extraordinary 1964 panel with Cecil Taylor, Hall Overton, and others. I’m an Overton fan, but there’s no doubt he’s out of his depth interacting with Taylor, especially when he tries to play traffic cop about free jazz, serious music, and race. Taylor brutally schools Overton and the rest of the room. Overton begins by citing the early Lennie Tristano free jazz track “Intuition.” Taylor is unwilling to deal with white innovators before black innovators, and responds by bringing up Duke Ellington. To someone not taking the long historical view, this may seem to miss Overton’s point, but I admire Taylor’s sophistication; he’s refusing to enter the conversation on the committee’s terms. With a black genius, especially a mid-century black genius, one has to be extra careful to make sure they feel respected in public debate. Overton and the rest just don’t get it. I’m more willing to cut Louis Calabro some slack—it was au courant for disconnected college composers to call their stuff “serious music” in reaction to the onslaught of jazz and pop—but I would have thought Overton would have learned more lessons from his friend Thelonious Monk. It makes me suspect that Overton doesn’t really admire Taylor as a musician. Apart from Overton’s general tactlessness, the trope that Lennie Tristano invented free jazz needs special handling. I wrote about it on this old Destination: OUT! post. Cecil Taylor’s art doesn’t really deal with the jazz beat. As a logical conseqence, he is a rare example of a significant modern jazz pianist that has never recorded as a sideman in some capacity or other. Offhand, I can think of only one other: Dave Brubeck. Some have said that Brubeck couldn’t swing. Actually, I think he can have a nice feel on a slow blues or something that references medium-tempo stride piano. But there certainly could be something a little unsettled about Brubeck’s modern jazz time, especially at a faster speeds. It’s truly painful to hear him with Roy Haynes on All the Things We Are. In the first chorus of “All the Things,” I believe he’s a beat ahead of the rhythm section—hard to tell, but for sure something isn’t right. As the solo continues, Brubeck continues to skate and skitter on top, never listening to Haynes. Cecil has a similar feel on his first records playing standards. It was wise of Cecil to pursue another direction. When Brubeck doubled down on playing “jazz” after the 1950s, he became historically irrelevant. The early live avant-garde standards with Paul Desmond, with some of the most beautiful alto saxophone solos ever recorded. The dark and moody solo piano album Brubeck Plays Brubeck, a major influence on Keith Jarrett. And, of course, Time Out. I told Fred Hersch in our interview, “You can definitely draw a line from Time Out to The Bad Plus.” His response was, “If you say so!” (Like, “That’s not something to be proud of.”) But I’m not ashamed. I loved that album! And I still love it. It’s one of the all-time gateway jazz albums, and it always will be. When I played it again after Brubeck died, it held up.